Car Hire at Barbados Airport - Save on Barbados moke, SUV & minivan rental costs with free hotel delivery. We mainly use Stoutes Car Rental for our car hire at Barbados Grantley Adams Airport, and throughout Barbados, as well as companies like Drive A Matic and Courtesy Cars. Only our suppliers prices are discounted, not the level of service, quality of vehicle, or CDW, mileage, insurance or 24/7 accident assistance, that comes as standard. Stoutes no longer offer the mini-moke. Your hire car can be collected at the airport, or delivered to your hotel, for free. Vehicles can no longer be delivered to the cruise port. In addition to Stoutes, we also offer a range of other Barbadian car hire companies. Barbados Airport is of international standard with several flights arriving daily from the UK, Canada and the US. Please note, with your Barbados car hire, all drivers must pay a compulsory local charge of US$5 for a Barbados driving permit. Taxis are abundant and relatively cheap. For more independence, mopeds or bikes, may be rented allowing you to explore sites that would otherwise be inaccessible to cars. The most popular vehicle is the mini-moke, or jeep. Please do drive carefully as the roads tend to be narrow, and some have steep inclines. Cruise ships dock at Bridgetown's deep sea port allowing passengers to disembark and spend quality time on this beautiful Caribbean Island, but vehicles can no longer be delivered here, but okay for hotel. 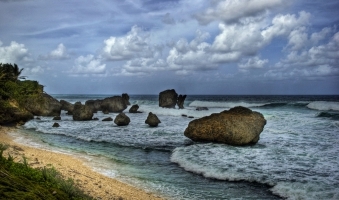 Barbados was once known as little England, because of its past colonial links with England, which date back to 1627. Complete separation from the UK happened in 1966, and today Barbados relies on manufacturing and tourism, as its main sources of income. 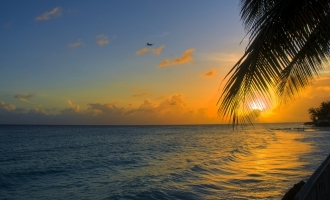 Barbados is a Caribbean island situated on Lesser Antilles. It is an independent, close to the islands of Trinidad and Tobago. More than its beautiful beaches, the island is also filled with impressive hotels, shopping areas, and a surprisingly thriving nightlife. If you are headed here, don't forget to visit The Saint Lawrence Gap. 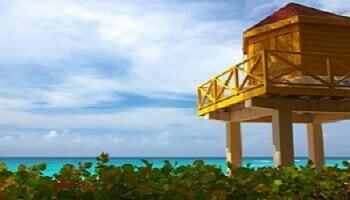 Compare cheap car hire in Barbados BGI Airport. Get Grantley Adams Airport Car Rental. Cars can be delivered to hotels in Barbados. Book early for peak seasons. Open Top SUVs and mokes get hired quickly. Minivans to seat 8 people okay. The other places that are worth your time are Barclays Park, Graeme Hall Natural Sanctuary, Orchid World, Massiah Street, Flower Forest, and the Queens College. One thing that is very notable in Barbados is their route taxis. These are actually minibuses, and they serve as the main public transport around here. As such, you can take them to visit the other interesting areas of the island. But unlike taxis, the ride isn't going to be private, as you share the seats with other people. When it is the peak tourist season, these buses get overcrowded. Drivers cannotturn down the passengers hailing them, so it is easy to get really uncomfortable inside. The only consolation you have is the fact that they usually take the most scenic routes to the destination, so you'll enjoy the ride even a little. 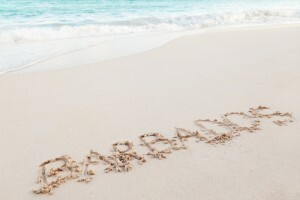 For more tourist information, check our Barbados information page.